The learning theory of constructionism asserts that people construct mental models to understand the world around them, and that this can be achieved through activities like building, tinkering, playing with components of machines and other systems, and watching how they interact. Seymore Papert introduced this theory in the early 1980’s, and around that time, the first educational robotics program emerged, called LOGO, which he also developed. LOGO is actually a programming language he developed that was used to control robot “turtles”—to move them forward and backward a specified distance, turn right or left a specified degree, drop a pen, and draw. One of the next iterations of robotics education was LOGO’s collaboration with Lego, first controlled through personal computers, and later in the form of fully programmable bricks. This became what we know today as Lego Mindstorms. Lego has continued to provide educational programs with its products for grades K–12, with a variety of robotic capabilities. In addition to Lego, many companies now provide robotic building kits that educators can use to build systems thinking, learn engineering, and practice STEM concepts, following the theories of constructionism. There are options out there for the smallest of budgets, as well as large-scale, worldwide, non-profit organizations that have inspired the formation of robotics clubs, as well as international robotics competitions. Teachers can introduce coding into their curriculum easily through various programs, yet introducing robotics, which naturally aligns with learning programming, can sometimes be quite an investment. 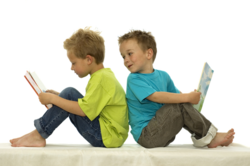 Grants are commonly sought to fund such endeavors, yet there are some kits that are more affordable, depending on your school's or district’s budget. This article provides an overview of some of the more popular products available, why they are educationally unique and valid, in addition to information on the non-profit organizations that make these large-scale robotics competitions possible. As described above, Lego Mindstorms has a programmable graphic user interface that enables programming, but can be modified to use common languages instead like Java or C. In addition to Lego Mindstorm, and their WeDo product aimed at early learners, here are some other products for learners of all ages. 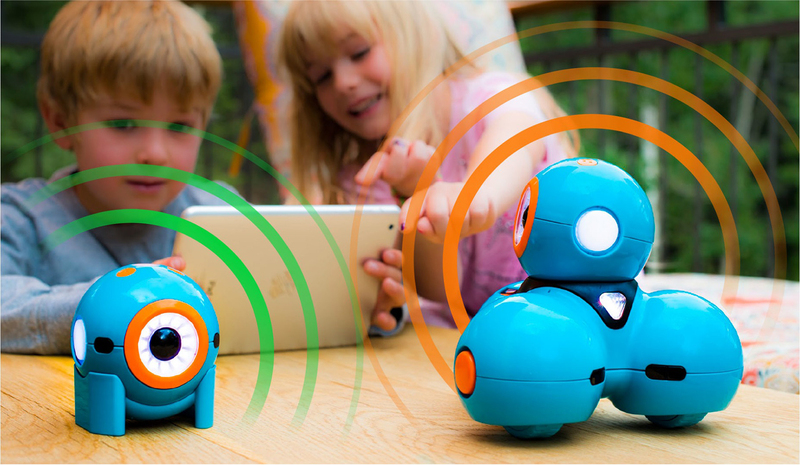 Wonder Workshop’s Dash and Dot Robots are popular for the programmable personality features of the bots, which are a big hit with elementary-aged learners. It is important to note that with Dash and Dot, you are programming an already built robot that has many capabilities, but this product emphasizes learning programming with a unique graphical user interface. Wonder Workshop also offers a number of kid’s programming applications, including Blockly, which has been effective in introducing programming in classrooms at the elementary level. Blockly and Scratch Jr. are both kid-friendly programming teaching tools, that provide a visual editor and interpreter of the “programmable” units. Some robotics programs are built using Blockly, while others are built with Scratch, but both can be used as a stand-alone programming teaching tool. Code.org is a great site for introducing programming to your classroom, and for the earliest learners (ages 3–7) you can try mama.codes that is built with the framework of the Scratch Jr. platform. Vex Robotics is a popular robotics provider that features programs for the elementary, middle, high school, and college levels. They have created a programmable brick that uses their own graphical user interface that is built with the foundations of the C language. Each robotics kit is built by the student, featuring a variety of metal and plastic components. 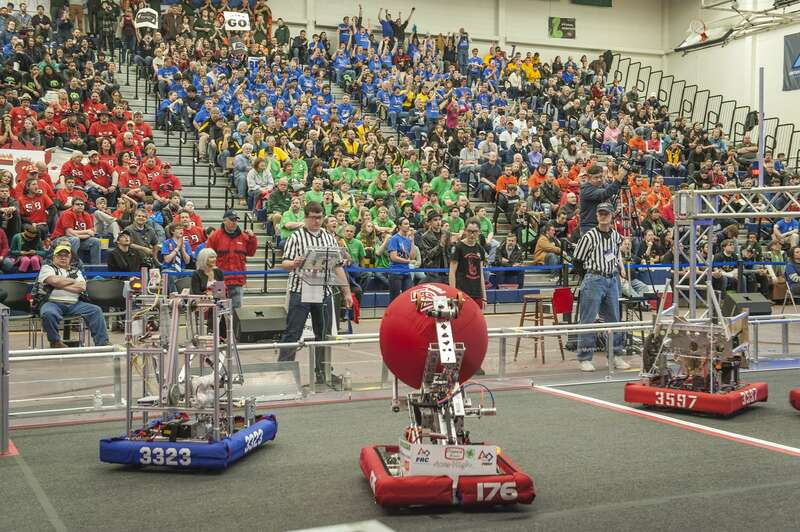 They feature a large-scale robotics competition annually. A few large-scale robotics non-profit programs are out there that provide a zero cost opportunity for students to participate in after-school robotics activities (learning, engineering, building, competing). One program, BEST Robotics, has been going strong for 22 years, and is available in 19 states across America. They are unique in that they do not have a set robotics kit, but set up their teams with random components that they make into a robot. They “release their creativity beyond the boundaries of a kit.” They host a national robotics competition every year based around a certain theme, and are supplied in part through Vex Robotics. FIRST, founded in 1989 and based in Manchester, NH, is a not-for-profit public charity designed to inspire young people's interest and engagement in science and technology, and to motivate them to pursue education and career opportunities in STEM fields. It has reached over 450,000 students worldwide, and features a variety of programming languages to complete team challenge goals. Each year, teams of high school students, coaches, and mentors build game-playing robots that can weigh over 100 pounds. Robots are tasked with such activities as getting balls and flying discs into goal zones, hanging onto bars, and even balancing on balance beams. The game’s theme also changes yearly. It is understandable that in schools where even just meeting the minimum standards in reading and math, amid budget cuts, would opt out of a robotics programs due to the costs of acquiring materials. However, all it actually takes to start a robotics club (for FIRST, for example) at your school is a small investment in a starter kit and registration of $800–$1,200, most of which is reusable from year to year, and a dedicated coach over the age 18. No engineering experience is required until you reach the high school level; then a professional mentor is needed. Teams do need funding to travel to competitions, but many are local or regional, and many teams and schools hold successful fundraisers to cover some or all the costs. If a school is determined to offer robotics, showing a priority on STEM enrichment activities, chances are there is a way to make it happen.